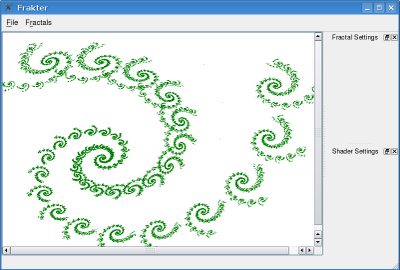 In the past, I fiddled with fractals. To force my-self to get started in the right directions, I started from the "other end", i.e. fixing the boring details and such before starting working on the user interface. Now, my wait is over. The user interface is here, or the basics of it. 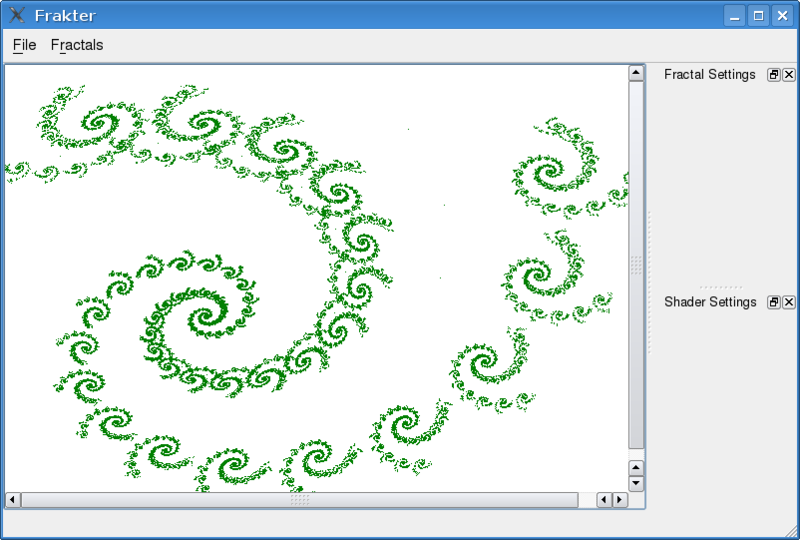 One can pick fractals through a factory (wait for the plug-ins) and look at fractals. The setting docks are there, but not live and the viewer is just a QLabel i a QScrollArea - not very fancy.